I have a friend who’s a Dallas fan… so after their sucktastic dismissal from the finals giving him a few weeks for the wounds to heal from the Golden State loss, I asked him to respond to a few questions I posed him. As a Dallas fan, how did you feel immediately after elimination? What changes do you see as necessary to not only get the Mavs to the Finals, but to win them? I’m Chris, also known as Moses to many. I live in Arlington, which is in-between Dallas and Fort Worth, TX (It’s the sight of the new Dallas Cowboys stadium, as well as where the Texas Rangers play). I’ve been a fan of local sports for about 15 years now, and have lived through the good times (3 Dallas Cowboys Championships), the bad times (1993 11 win Mavericks season, 1 win Cowboys season in ’91, etc. ), and the dissappointing times (Pretty consistent for the past 6 years or so). I don’t question that Dirk can lead this team. But he needs to “get his head right”. Now that Nellie made him look like a fool, everyone will emulate that. Dirk has to have better composure, but the loss certainly wasn’t on him. Our point guards couldn’t get it to him in a spot he was comfortable with. Very rarely did we see a re-post, or a pass back to him. We need a real point guard. I’m not sure of the details of Chauncey Billups (Is he completly free after this season? Restricted free agent? ), but if we can somehow trade for him, that’s who we need. He can basically get where he wants on the court, and will take any shot without hesitation. He’s also too old for a long contract; if we got him, I’d only want a 1-3 year deal out of him, but things never work out that way. We’ll probably just end up overpaying for an older point guard, further making Mark Cuban look like a moron for letting Nash go. As I watch these horribly boring, but defensively intense playoffs, I see that we still lack a hardnosed defensive player that we need. Someone who is only out there for defense, similar to Bruce Bowen. We’ve been trying for that for a while now with Adrian Griffen, Greg Buckner, and Devean George, but none are getting it done. We also need to be the underdog. I can’t explain it, but we play better that way. The number 1 seed that was the worst thing that could happen to us. Next year, I expect our team’s major players to still be here, and it’ll be the same. I just don’t see any possible trades for what we’re willing to give up, or us able to pay a big free agent. Us remaining the same may be enough – It was enough in 2006 to get to the Finals. 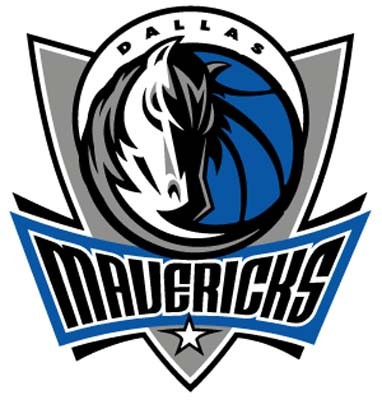 Hopefully more experience and wisdom will prevent another patented Mavericks collapse.